Do you gush when you see a baby? To be honest, I don't but I must say I get pretty excited when one is on the way. Having carried and delivered two babies, I still marvel at the miracle of birth. While it isn't common to celebrate babies with a baby shower in Singapore, the mums at my church like to get together to welcome a baby before he/she arrives. It is normally hosted by one of the mums in the group and is a nice way to show the new mum-to-be that we are excited about the baby that is about to arrive. So this week I have a few baby showers to share with you. This first baby shower was held in February for one of the ladies in my church family. We knew it was going to be a boy so I went with a blue theme. I asked everyone to come in blue and they did! Even the babies and kids matched the theme. It was a simple way to set the party mood! I had prepared a brunch spread with lots of fruit and light refreshments. Open sandwiches with smoked salmon, baked eggs and spinach, baked brie and sliced apples. We also had passionfruit & orange smoothies which I prepared the night before and decorated with cocktail umbrellas so it would feel extra special. Two ladies from the group contributed homemade banana muffins and carrot cake and yogurt which truly made for a delectable spread. As the guests mingled, we took turns filling out little cards for the baby scrapbook. Guests could choose to share either a recipe that their child loved or a favourite childhood book. This was really fun and easy. I also added photos from the shower to the scrapbook as a sweet reminder of all who are behind her as she begins her journey as a new mum. We all had fun and it was a nice way to welcome the baby. Do you know someone who is expecting a baby? Why don't you plan a surprise baby shower? If you would like to create a baby scrapbook, I have included the printables below. Do leave me a comment if you do use them. I would love to hear from you. This week, I have a few Valentine's Day ideas for you. Simple ones that you can conjure up at the last minute. Some of you might know I have a thing for miniature things. Anything that is sized down from what it is meant to be. So I love tiny oranges, tiny doll-housed furniture and um, recently I bought a mini shopping trolley. I'm not sure what I will do with the trolley yet but I will show it to you soon. So this year, I am making mini photo postcards to slip into the wallet of my husband and my son. One of my sons is in primary school and so I think it would be a fun surprise particularly for him. So I created a printable that you might like. You can attach a photo if you like. I think it makes it extra special but if you have something nice to say, the postcard is pretty enough on its own. >> Print the Front of the Postcard here. >> Print the Back of the Postcard here. p.s. Thanks to everyone for their kind comments about the Valentine's Day Love video. I am glad to hear that a number of you are planning to use the printables to spread some love this Valentine's Day. Do take photos if you do! I would love to see them. Valentine's Day is a great day to have fun and show some love. Not just to the obvious people that you love but perhaps to those we see everyday. I was recently chatting to my sister while in the car and she shared how Valentine's Day was such fun when she was in school. Everyone gave each other little sweets, stalks of flowers, cupcakes, sweet notes. Simple signs of affection that just said I love you. Not neccesarily romantically but definitely sweet. I suspect that we need more of that today. So here is a fun idea that you could spring on your colleagues or schoolmates or in your lift corridor. Set up a Kachang Puteh station with extra special nuts for everyone to help themselves. I designed the patterned paper to make it extra special and have also included signs for you to use. I do hope that you will put a smile on someone else's face this Valentine's Day and i bet that will put a smile on yours. >> Download the patterned paper here. >> Download the signs here. >> A higher resolution video can also be found at this link. One of my friends recently asked if I would create cards with the same motif for chinese new year, so I thought I would share these journalling cards that i designed for Project Life. I think they could quite easily double up as a gift card. I have recently hopped onto the Project Life bandwagon which is a new way of scrapbooking and collecting memories. I plan to share more about this in another post. It has been a lot of fun and I am really enjoying it. Thus, in anticipation of the new year, I created the cards that you see below to use in my February layout. (Click on the photo to access the file for printing). If you would like to use the circle printables in your layout, you can find that file here. 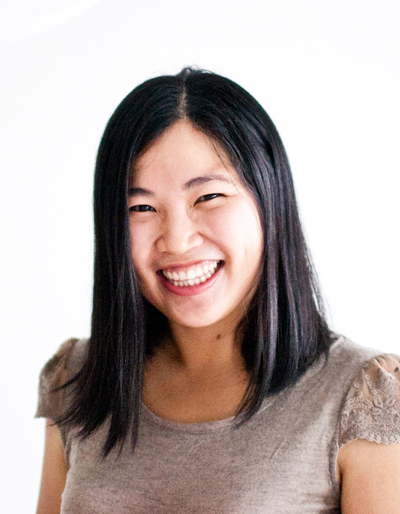 If you are a Project Life fan too, leave me a message and I would love to pop by your blog and be inspired by your layouts too. p.s. Do let me know if you have any trouble printing it as it is my first time making such a printable available. Hi there! I hope you had a good weekend. My husband was away for work over the last two weeks but returned home on Friday so it was really nice having him around the house. I also spent some time crafting at a baby shower which I will blog about after chinese new year. If you are curious, you can take a peek at the photos on instagram. 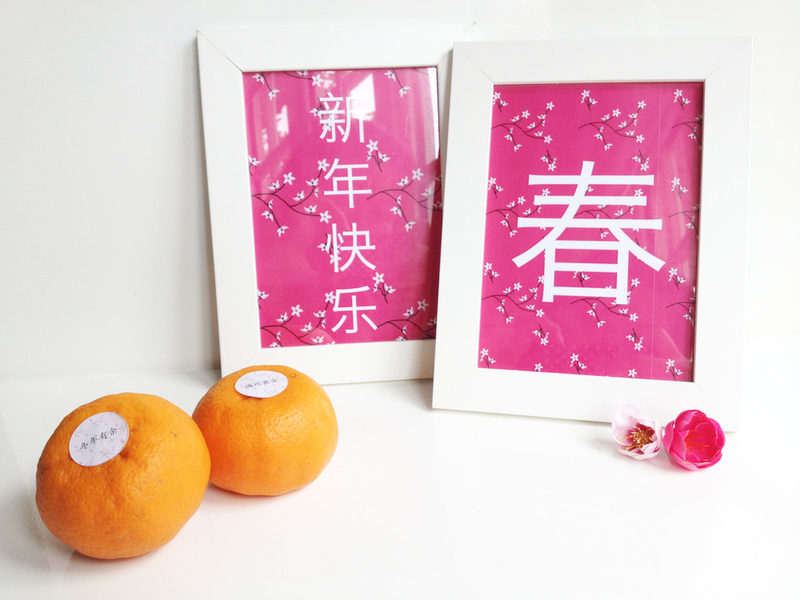 Meantime, I am starting to decorate for Chinese New Year and in line with the pink cherry blossom theme, I decided to print a couple of auspicious sayings to slip into a photo frame to display around the house. The free printable is available in 3 colours if you would like to print a copy. Hope it brightens up your home in time for the new year! Do you agree with this quote? It is liberating, don't you think? I love that beauty can never be simply defined. Indeed, God has made us all very different and yet special. Today, celebrate beauty by telling someone that they are beautiful or giving them this card. Sometimes we just need to hear it from someone else to believe it. * Click here for the FREE printable. I admit it. I am a bit of a workaholic. So hobbies are a great way of helping me slow down. On the party planning front, I am freezing batches of cookie batter today and checking out a possible party venue. Have a great wednesday and see you back here tomorrow for Singapore Secrets!